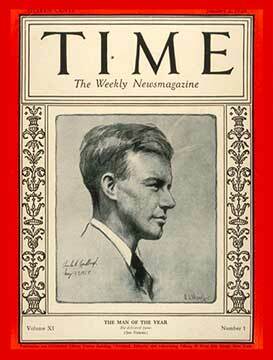 Charles Lindbergh — TIME’s first Man of the Year in 1927 — remains the youngest person ever chosen in the franchise’s 83 year history. Queen Elizabeth II, who was named Person of the Year soon after she took the throne in 1952, was the second-youngest until this week, when TIME named 26-year-old Mark Zuckerberg — the Connector — as this year’s POY. I was in Palo Alto last week when TIME managing editor Rick Stengel sat down with the Facebook co-founder and CEO at his company’s headquarters. The day before the interview, I spent the workday with the team of engineers, designers and data managers behind the new profile page on Facebook. They were fine-tuning the page’s design and abilities just days after its very high profile launch (on CBS’s 60 Minutes program). The entire package the team at TIME created this year to complement the stories about the Person of the Year and the runners-up is quite impressive. Have a look at the wonderful journey photo editor Paul Moakley and photographer Peter Hapak undertook to get portraits of all 33 Chilean miners (and the lovely editing done by John Gramalia to bring their story to life in a short documentary). Another behind-the-scenes piece, edited by Jim Fields, shows how a photo-illustration of a recreation of a Tea Party (with the faces of modern political figures superimposed over the heads of models) was crafted by photographer Finlay MacKay. Bonnie Bertram and Jacob Templin looked into how Newark’s public schools might best spend Mark Zuckerberg’s $100 million challenge grant to improve education in the city. And two very fun video pieces make very effective use of motion graphics and animation: the very talented Jeff Sterrenberg brought data of the average actions in a minute of facebook to vibrant life in a 60-second video, and Odd Todd told the tale of social-networking’s origins in one of his signature cartoons. The video we created made its way onto the airwaves, too, with clips of the interview on the Today show and on local stations across America.